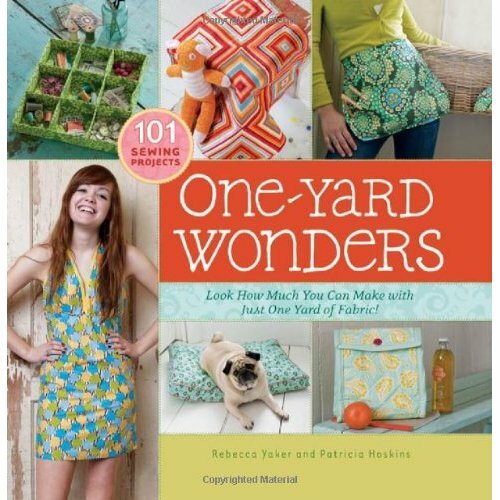 One-Yard Wonders | Sew Lindsay, Sew! A pity about Borders closing down, but I love the look of the book. I hope I can get a copy in the UK, especially as I now have a new sewing machine. My old one died and my boyfriend got me a new one for my birthday but I haven’t had ANY time to start anything this year yet. I will have to fix that!